How to automatically get/assign contour height attributes? The features displayed in Attribute Table are points and the contour lines are not joined yet (One contour is not displayed as as one feature) they are still segmented lines and not polylines, so this is something to keep in mind. So to summarize: I need a simple quick way to join the contours and assign height values to them in a somewhat automated process. Note: As was discussed in the comments, this is an unusual situation. Usually you would either have depth measurements as points, or a DEM raster. 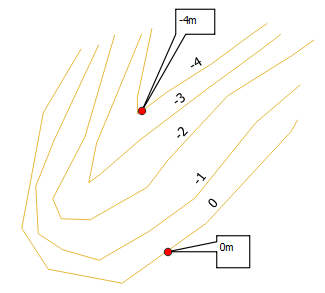 Starting with depth measurements as points, you would interpolate them into a DEM, then use the DEM to generate contours. In this case, the only data available is contours without depth measurements, and a pdf map with depth labels. For anyone who finds themselves in this situation, I strongly recommend searching for better data. Use the method below only after you've exhausted the possibility of finding proper data. Here's a semi-automated method to apply known depth values to contours that came without depth values. Create a new line layer. It can be a temporary scratch layer. Draw a line that crosses from the outside (shoreline) contour to the deepest contour. (The direction of the line matters.) Choose a location where the cross line will increase in depth from start to finish, IE not crossing any areas where the lake get shallower. 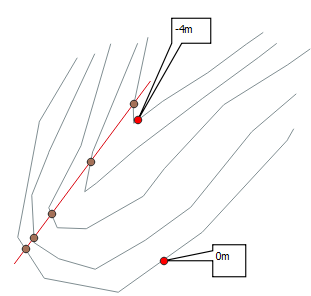 Use the Line Intersection tool to get the points where the cross line crosses the contours. Use the Join Attributes by Location tool to copy the depth values from the points to the contours. Note: Joining by location failed to join any of the features. This might be a bug, but apparently the intersection points don't actually intersect with the contours (they should, but they don't). As a workaround, I used the NNJoin plugin to do a nearest-neighbor join. Note: If your contours are discontinuous, you'll need to repeat the process a few times until all the contours have depth values. 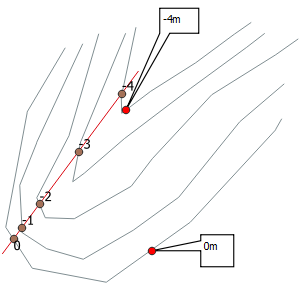 Manually label contours in areas of shallow water surrounded by deeper water. Not the answer you're looking for? 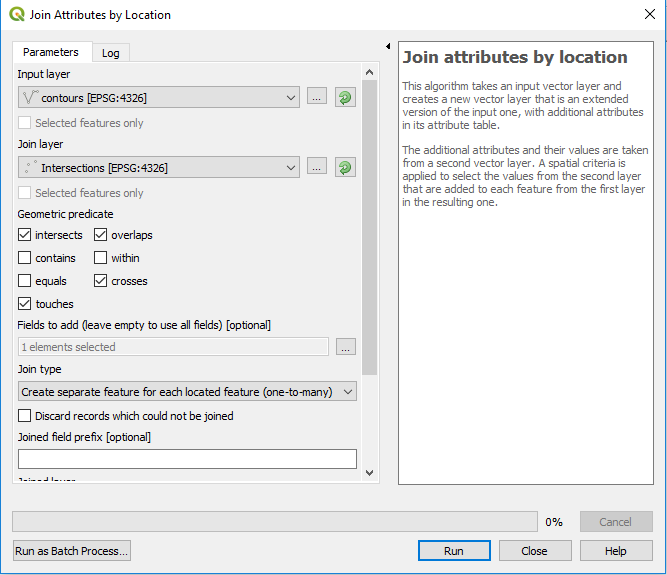 Browse other questions tagged qgis attribute-table classification contour calculate-values or ask your own question. 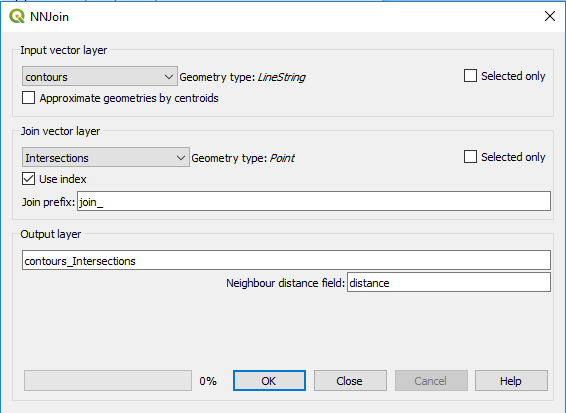 Adding intermediate contour values automatically in QGIS? 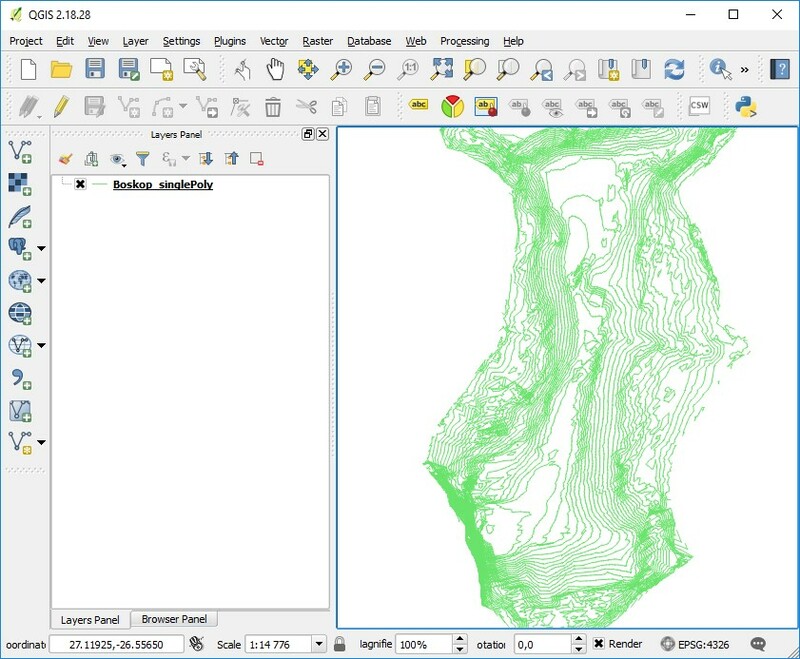 Exporting contour lines to x-y-z raster in ArcGIS Desktop? 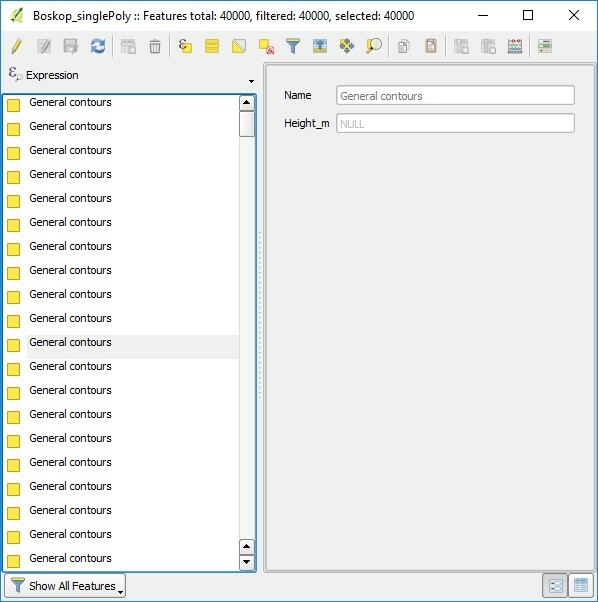 How to use a .kml file to create a 3D mesh from contours?